Summer weather is here! Melissa and Doug has all kinds of great toys for you to help keep the kids entertained for the summer. You can get toys for all ages including classic toys, tents, sand toys, puzzles, arts and crafts, plus many more! Some of our favorite toys over the years have been from Melissa and Doug. I have at least a half dozen of their puzzles and their 'Learn to Tie Your Shoe' wooden shoe is an amazing teaching tool. 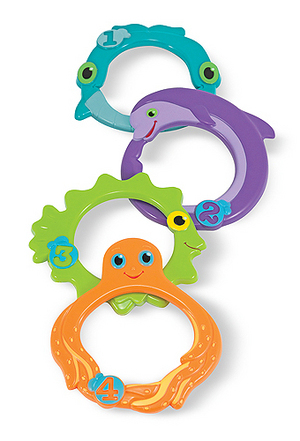 For the summer months, we found that the Maritime Mates Sink and Seek rings for the pool were immensely helpful in getting our kids to start diving under the water. One of my favorite pieces has always been the Stacking Train. And, having a child with an autism spectrum disorder, we have long found Melissa and Doug to have lots of awesome toys for kids with special needs. Not only do you have the opportunity to win this giveaway but you can also head on over to the Melissa and Doug on Facebook fan page and then click on the Play to 250k Sweepstakes tab to enter the Play to 250,000 Fans Sweepstakes. 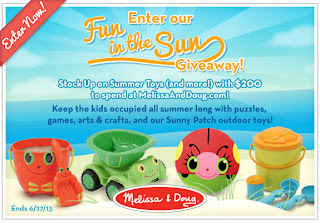 Each time their fan base grows by 1,000 fans, a fan will win a selection of Melissa and Doug toys. Plus, when the Facebook page reaches 250,000 fans, all fans will receive a special gift. WOW!! One lucky winner will receive a $200.00 eGift Code to Melissa and Doug! 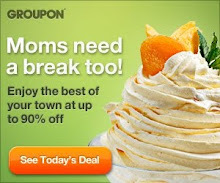 Disclosure: By entering this giveaway you agree to receive email communications from Melissa and Doug. I received no compensation for this publication. My opinions are my own and may differ from those of your own. Coolestmommy.com is not responsible for prize shipment.